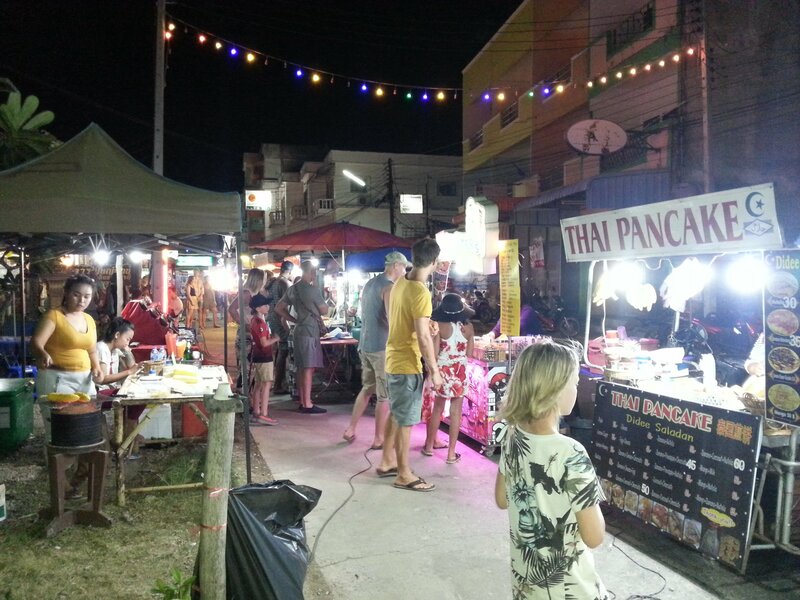 Saladan Walking Street is nightly food market which takes place in the centre of Saladan Town in Koh Lanta. 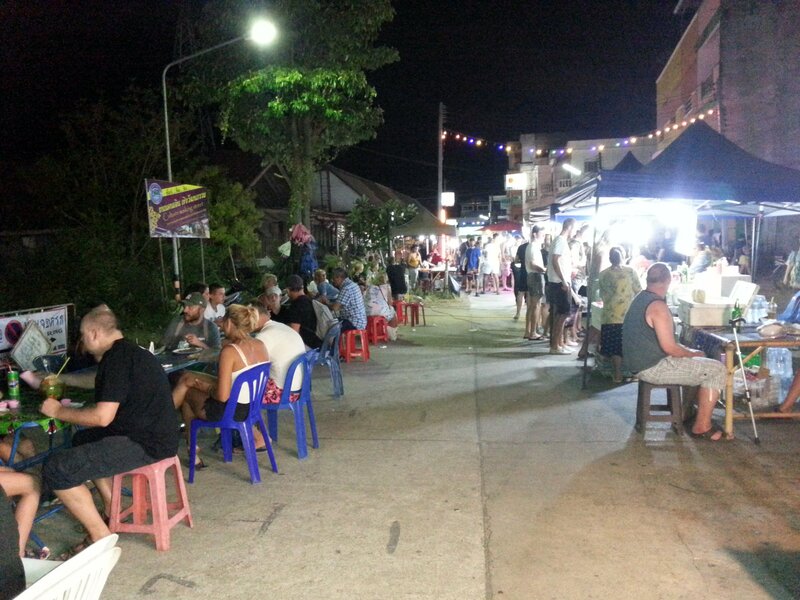 Saladan Walking Street is very popular with foreign visitors to Koh Lanta and on most nights on the year Walking Street is the liveliest place in Saladan Town. Saladan Walking Street consists of a line of food stalls selling a variety of Thai and international foods. Alcoholic drinks, fruit shakes and other beverages are also sold, as well as ice-cream. The vendors on Saladan Walking Street open from 17:00 every evening although it doesn’t start to get really busy until around 19:00. A lot of the vendors on Saladan Walking Street sell the same thing. The most numerous stalls are chicken kebab vendors. 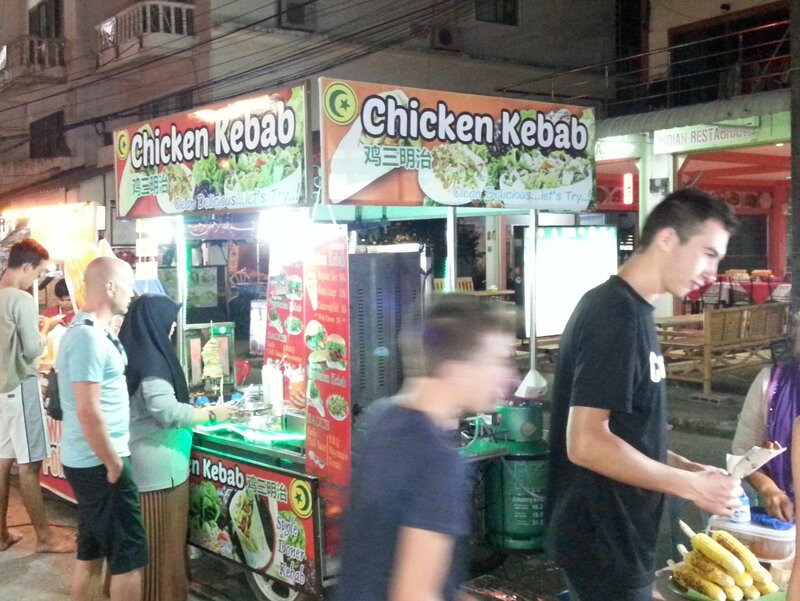 The standard price is 100 THB for chicken kebab in a tortilla and 120 THB for chicken kebab in a pitta bread. The kebabs come with salad and a yoghurt sauce. Despite Thailand’s obsession with spicy food none of the kebab stalls have Turkish or Greek style hot chilli sauce which is something of a failing on their part. The second most numerous type of stall on Saladan Walking Street are vendors selling fried potato on a stick. This dish, which is not a traditional Thai or Malay dish, consists on thin slices of potato on a wooden skewer which is then deep fried. This delicacy costs 40 THB a skewer. Amongst the kebab and fried potato stalls on Saladan Walking Street there are smaller number of vendors selling Thai food. The stalls selling Phad Thai noodles at 40 THB are a good choice, as are the two stalls selling BBQ seafood. The seafood is not that expensive with crabs selling at 100 THB each, shrimps at 100 THB for 6, and whole fish at 100 to 150 THB each depending on the type of fish. 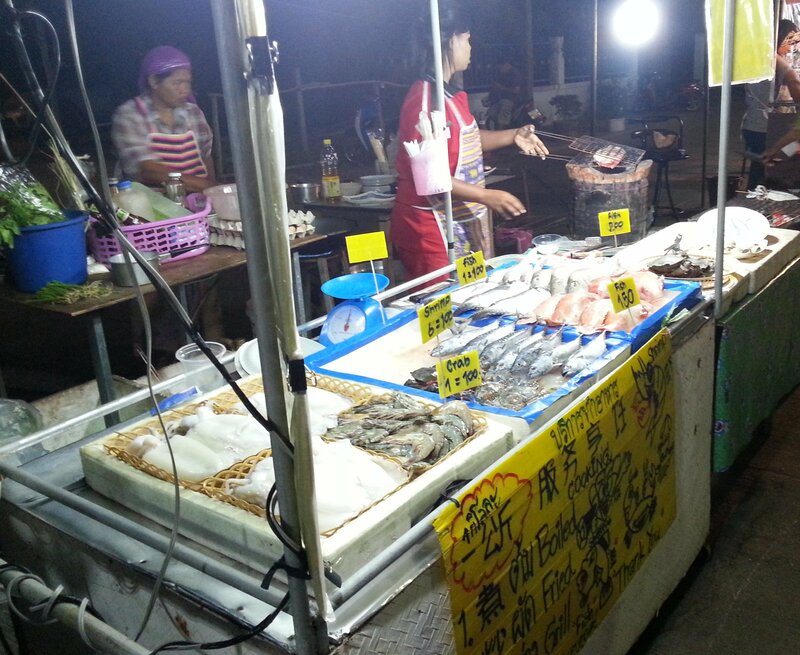 At these prices the BBQ seafood stalls are by far the best value for money of what is on offer at Saladan Walking Street although diners do need to have the patience to sit and wait whilst the food is prepared which can take up to 20 minutes. Saladan Walking Street is 290 metres walking distance from Saladan Pier.